In the essays collected here, Abbas Milani uses an impressive array of cross-disciplinary Western and Iranian theories and texts to investigate the crucial question of modernity in Iran today. He offers a wealth of new insights into the thousand-year-old conflict in Iran between the search for modernity and the forces of religious obscurantism. The essays trace the roots of Shiite Islamic fundamentalism and offer illuminating accounts of the work of Iranian intellectuals—both men and women—and their artistic movements as they struggle to find a new path toward a genuine modernity in Iran that is congruent with Iran’s rich cultural heritage. 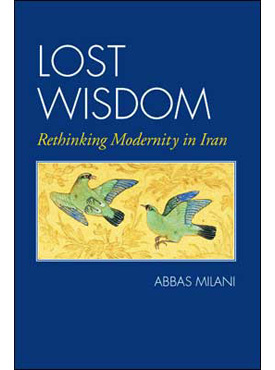 Lost Wisdom: Rethinking Modernity in Iran challenges the hitherto accepted theory that modernity and its related concepts of democracy and freedom are Western in essence. It also demonstrates that Iran and the West have more that brings them together than separates them in their search for such modern ideals as rationalism, the rule of law, and democracy. These essays will reward the scholar and the general reader alike, and will go far toward explaining the enigma that is Iran today.